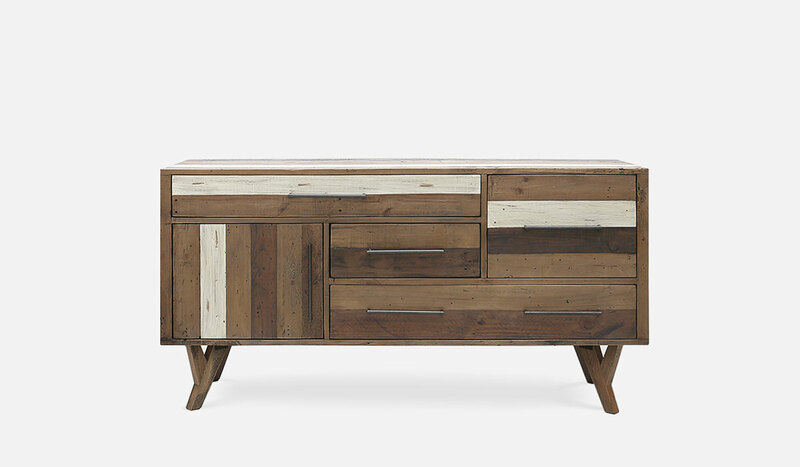 Add rustic appeal to your abode with the cappuccino woodgrains of the Jacob sideboard. Each surface panel is individually made by piecing together different reclaimed pine planks and staining them by flotsam technique, with distressed iron handles to boot. The sideboard contains three drawers and two cupboards – making it the perfect piece for style and functionality.